College of Optometrists funded study comparing over 300 pairs of spectacles -found participants prefer shop bought specs over those bought online. A study commissioned by The College of Optometrists found that, when comparing spectacles bought online and those bought and fitted in optometric practices, customers preferred shop bought spectacles. The study, published in the leading American journal Optometry and Vision Science, found that customers preferred shop-bought spectacles fitted by practice staff, ranking them higher overall than those bought online. Researchers from the University of Bradford and Cardiff University compared 154 spectacles bought online with 155 spectacles from UK optometric practices. Participants completed a questionnaire on vision, comfort, fit, and how acceptable and safe the spectacles felt and all participants and spectacles were assessed at the University of Bradford eye clinic for clarity of vision, ocular muscle balance and fit and quality of the spectacle frames and lenses. Participants preferred shop bought spectacles dispensed by practice staff, ranking them significantly higher overall than those bought online. This was particularly true of more complex prescriptions such as Progressive Addition Lenses (PALs). Researchers found a higher rate of spectacles bought online were classed as unacceptable or unsafe due to incorrect measurements of pupillary distances. When ordering online, pupillary distance is usually measured and supplied by the customer and the measurements can be inaccurate. 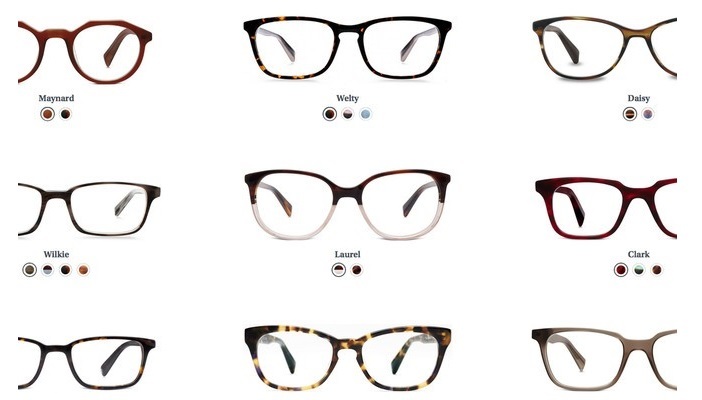 79% of participants said that they would purchase their next pair of spectacles from the high street. The remaining 21% that indicated they would purchase their next pair online cited convenience, clarity in pricing, significantly lower prices and the lack of pressure to purchase amongst their reasoning. The average cost of online spectacles was significantly lower than the high street spectacles used in this research. 6% of all study spectacles were classified as unsafe. 78% of spectacles perceived as unsafe came from online suppliers. For 50% of these spectacles, the issue was due to the fit of the frame rather than the accuracy of the lens prescription. Significantly more online spectacles (30%) were classed as unacceptable by participants than practice bought and fitted spectacles (10%), largely due to fit and appearance. The dispensing of PALs by online retailers using online estimations of fitting heights and estimated pupillary distance measurements should be accompanied by a warning about the potential danger of falls. Online retailers could improve their services by providing patients with frames to try on at home; ensuring stock matches website information; by encouraging more accurate PD measurements; and by offering a fitting service if not currently providing this service if not currently providing this service. High street practices should ensure patients do not feel rushed or pressured when making purchases, provide clarity with pricing and should allow sufficient time for spectacle frame adjustments. This is also supported by other research published in the College’s journal Ophthalmic & Physiological Optics(3,4). 309 spectacles bought online and in retail shops (where they were dispensed by practice staff), were compared by survey participants. All spectacles were then assessed at the eye clinic of the University of Bradford for participant preference, indication of acceptability and safety (based on fit, appearance, fitting height distance being outside tolerance, amongst others), lens and frame quality and fitting and lens prescription. Preference, indication of acceptability and safety factors were measured by participants, lens and frame quality, fitting and lens prescription were assessed by an experienced dispensing optician at the eye clinic. This research is an example of the important projects funded by the College of Optometrists. This membership year, beginning on 1 October, will see a new opportunity for members, organisations and the public to support the College’s research work. It is now inviting donations to allow individuals and organisations to play a part in the College’s work to develop evidence that is capable of advancing the profession, reduce preventable vision loss and providing accessible, high quality, eye care for all. To read about or contribute to the Research Fund, visit the College’s donation page.